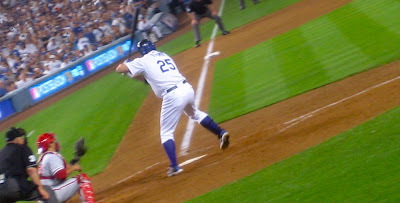 Not exactly the best night at Dodger Stadium today, but I'm still glad I went just to be there... I guess. I suppose I should just be thankful to even be able to go to a baseball game this late in October... Hopefully, they'll find their heart and turn the series around. Don't Stop Believin'.